As I mentioned a while back, my goal was to complete more technical mountaineering climbs this year. I have focused my goal now to completing the climbs in Colorado Scrambles. The goal for this year will be to complete 5 of these. So I am prepping for this goal in two ways. In April I will be taking the Mountaineering 101 course from CMS. I plan to follow that with a Trekking class from CMC followed by Mountaineering next winter with CMC. Pick a lower level, do 30-40 moves in 10 minutes. My goal is to do this 5 times a night, twice a week on the same route. One hard, one moderate, one extra hard. On the wall, no rest. 15-40 moves, 2-3 minutes on wall. Done the route before. Rest 2-3 minutes. 2-3 times, then a longer rest. Pick a route one level lower than your max. I'm currently a 5.8 climber, so 5.7 would be my goal. Start the route quickly with some energy, then go easy in the middle, then finish hard. Finish the route in 2-3 minutes, then rest the same amount of time. Pick a hard, but doable problem of 5-10 moves. Traverse into this hard part after 15-20 moves. Do this 2-3 times, then take a longer break. Pick a difficult route to climb. If unsuccessful, go back to bottom, maybe a 5 minute rest then learn it as you climb. Do this 2-3 times. Core body: powerful stemming. Find a small hold in corner, press with legs to hang on. For ab strength do slide outs on an exercise ball. Finish with nice long endurance cool down. 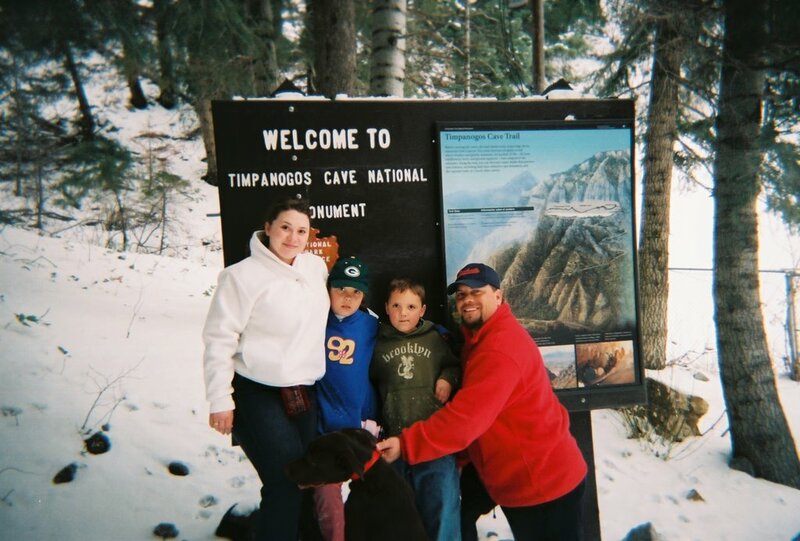 I took SouthWest Airlines $49 deal to Salt Lake City to visit my brother and his family. Friday night we had a great dinner in a little hole in the wall named after Porter Rockwell. Saturday we took a hike around the Timpanogos Cave National Monument. The caves were closed for the winter, but we had fun exploring the beautiful valley. We also went to the local rec center and hit the climbing wall. Beka is a natural on the rock. Kari, Dusty, and I also climbed. 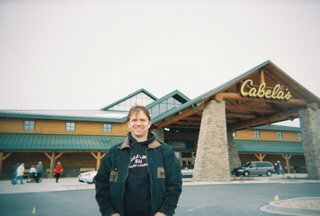 I also stepped foot inside my first Cabela's store. It is quite impressive with the outdoor scenes and live aquariums. The Pro Bass Store in Denver holds its own against this store though. Can't wait for our Cabela's to open, or better yet to visit the flagship Cabela's in Sidney, Nebraska.